This R2 kit includes 15 Panasonic Z-series electrolytic capacitors. Aluminum electrolytic caps are good at one thing: Lots of capacitance at a low cost. In nearly every regard, they have inferior performance, with high equivalent series resistance (ESR), inductance (ESL), and, yes, a short lifetime. 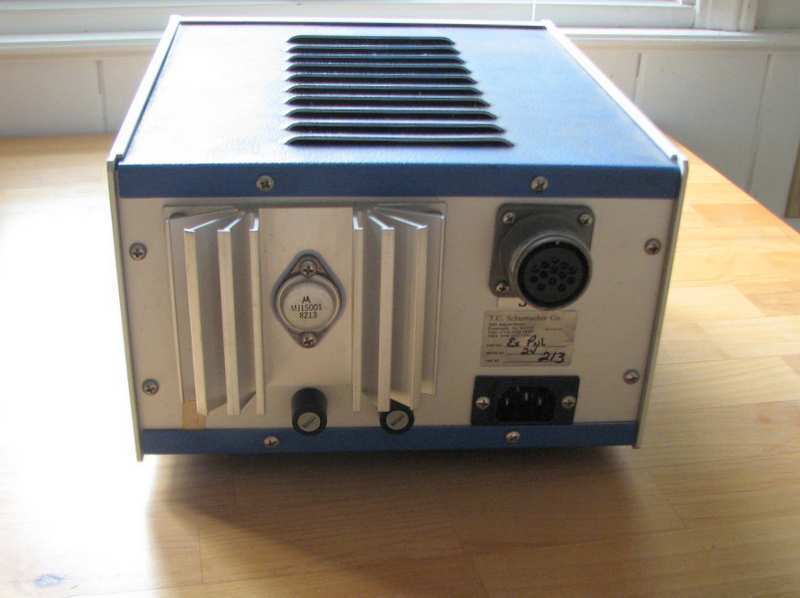 I’m not sure exactly how to translate the lifetime specifications for electrolytics to room temperature storage, but the rule of thumb tends to be that they can tolerate 5 years on the shelf, after which they require a “reforming” procedure. Reforming them at that point can get them to last another 5 years or so. After that, figure that they are shot. 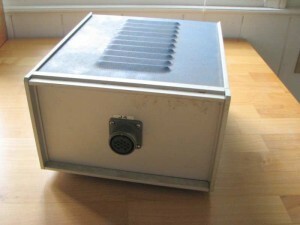 Old electrolytic capacitors can have excessive leakage current. In extreme cases, this current is enough to heat them up excessively and they go bang! The capacitors on this board are old enough to vote. Maybe one or more of them are to blame for the extra milliamps. I had a little trouble finding the perfect capacitors, but then I was looking for performance at least as good as the original. This was perhaps foolish, because I couldn’t find data on the Z-series caps. Panasonic discontinued them in 2000. In lieu of further information, I arbitrarily went for high-quality models from a favorite manufacturer. In some cases, these were nearly double the price of the cheapest options, a breathtaking 23 cents versus 12 cents, quantity one. Seriously, replacements for all of the caps cost all of $2.85, including a few spares for good measure. My one mistake so far is to forget about the T2 transmitter. 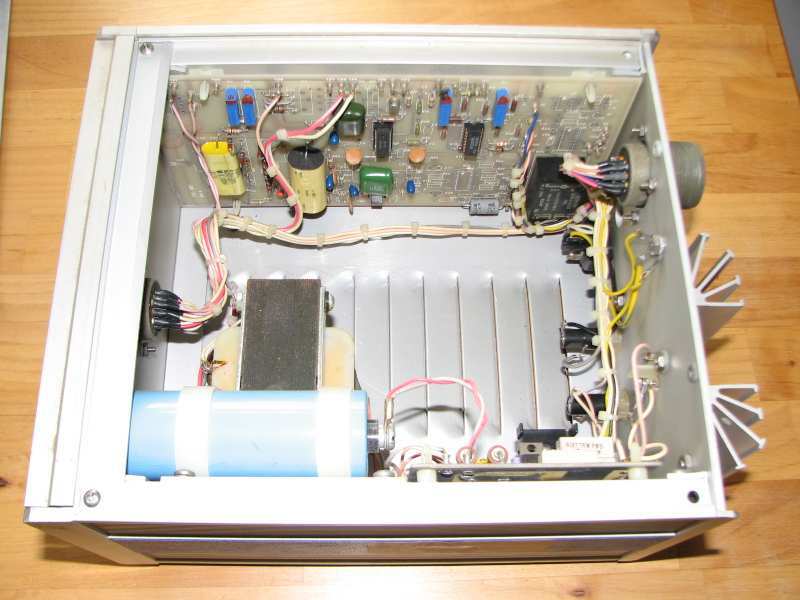 If the R2’s capacitors are bad, the T2’s surely are as well. Maybe the spares I bought will end up there. Troubleshooting is half the fun of this stuff. 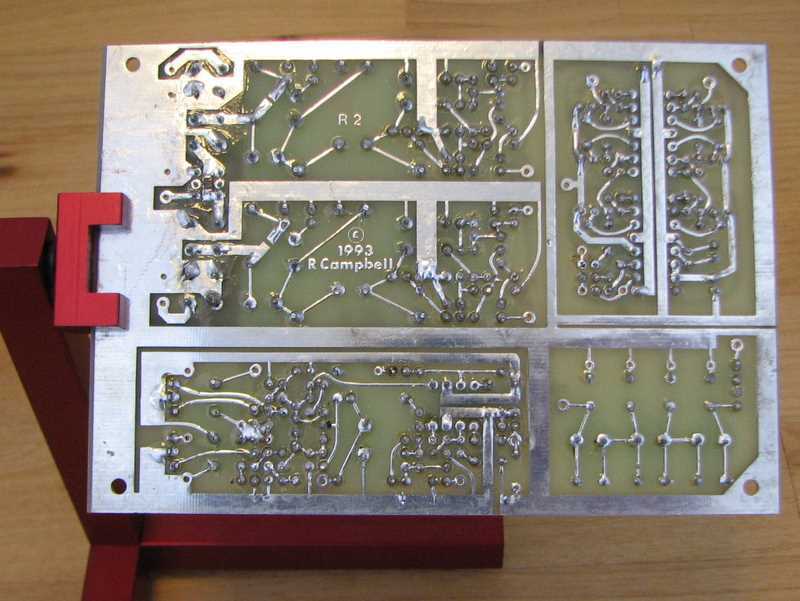 Who needs sudoku when you can puzzle out a misbehaving circuit? Hi, I’m back! It was a rough week, with a death in the family. As it ended, I found some time for some “solder therapy”. There is something good for the soul in putting together electronics. I don’t know if it’s the scent of the rosin or the satisfaction of seeing a project come together. All I know is it’s good for me. 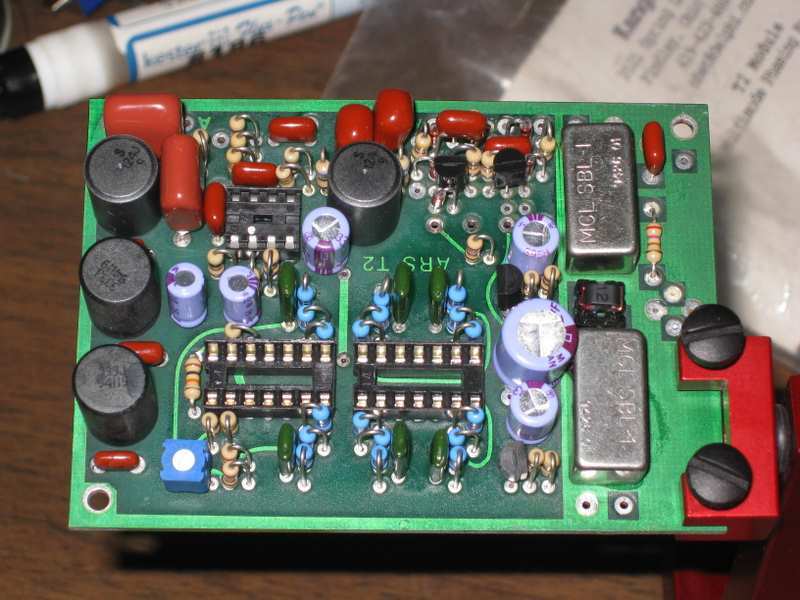 The target of my soldering was my KK7B R2 receiver kit. This is the companion to the T2 I wrote about a few weeks ago. To my surprise, the R2 was easier to put together despite the higher part count. 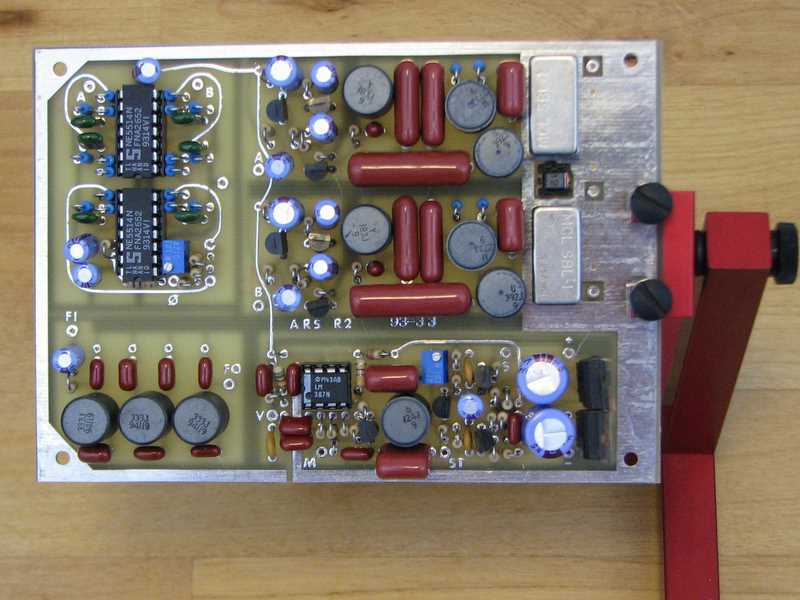 The components are larger, forcing a less dense pin matrix, and the board is separated into sections: mixers and diplexers, audio phase shift, low-pass filter, and audio amplifier. Conveniently, the board uses jumper wires (not yet installed on mine) to connect the sections. The intent appears to have been to make it easier to extend the board by swapping in a different phase shift network or adding alternate filters for CW or contesting, but it will make the board easier to debug as well, since I can bring it up a section at a time. Keep in mind that this is a vintage kit that is no longer available, but updated versions of the design are still produced by Kanga US. The board surprised me with its heft. 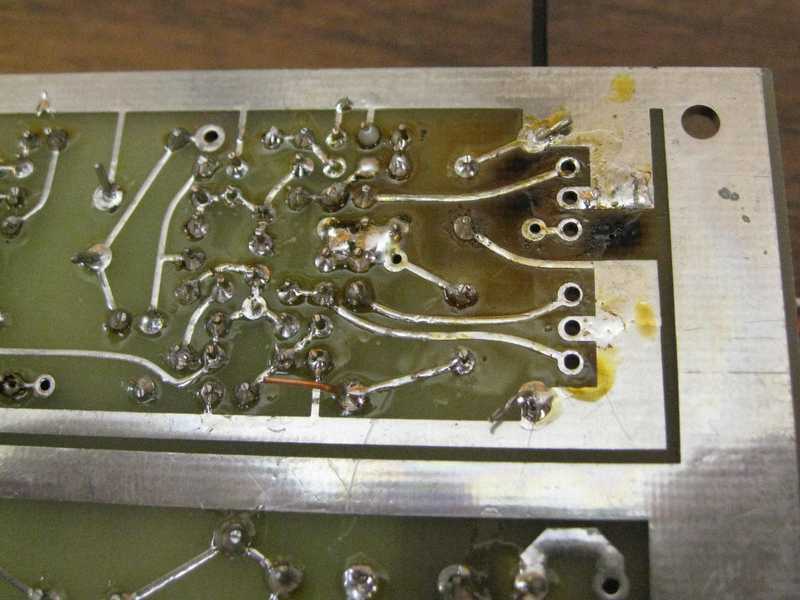 I work mostly with surface-mount digital boards where the fiberglass PCB is the heaviest component. This board, though, weighs 134 g (4.7 oz), which is a lot for 100 cm2 (16 in2). 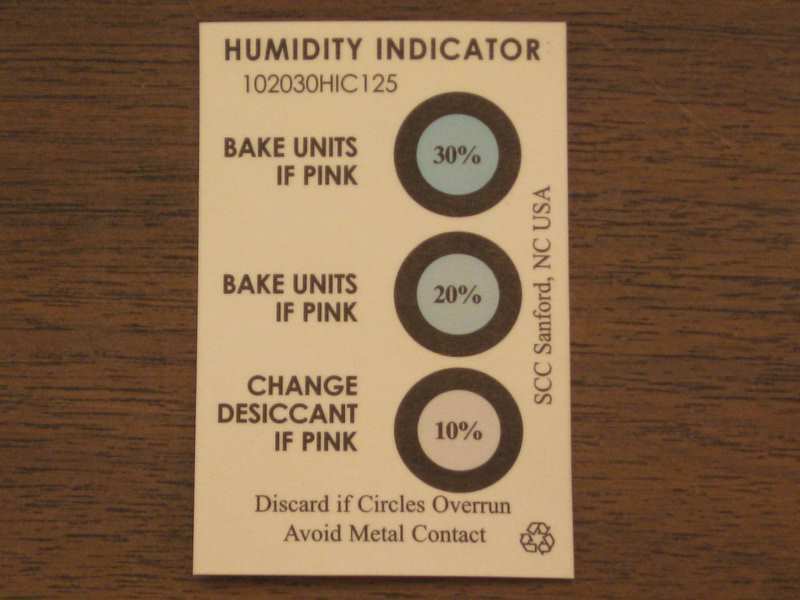 The shielded inductors are the culprits. Each black cylinder in the photo is the ferrite shield of an inductor. 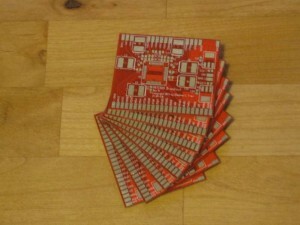 Each inductor is noticeably heavy for its size, and this board has 10 of them. 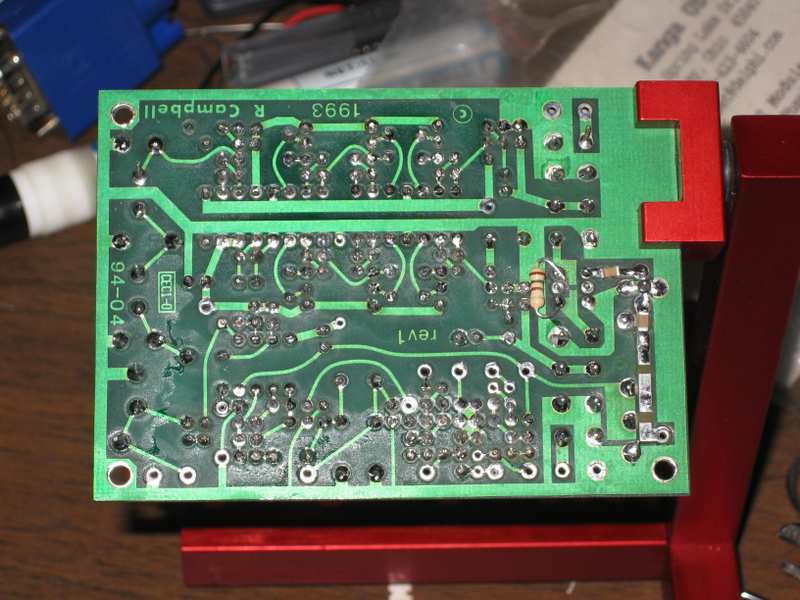 Once I wash the flux off (it’s not as much fun as soldering), the next piece of the puzzle is to build or buy a VFO. 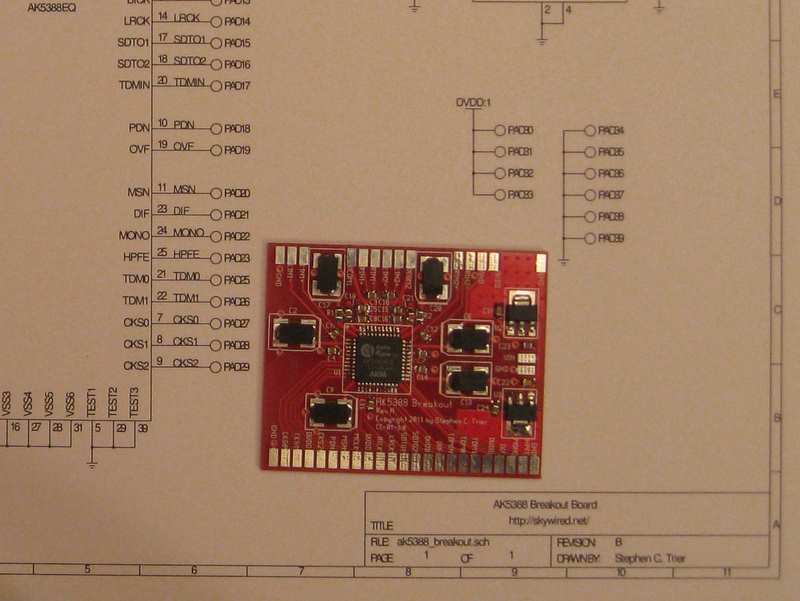 Rick, KK7B, designed a companion VFO for these boards, but it is out of production at the moment. I’m thinking about one of the Si570 VFOs out there. This little chip offers a very low phase noise synthesizer with tuning in steps of a fraction of a Hertz. Having this on a single chip was a pipe dream when the R2 and T2 were designed. 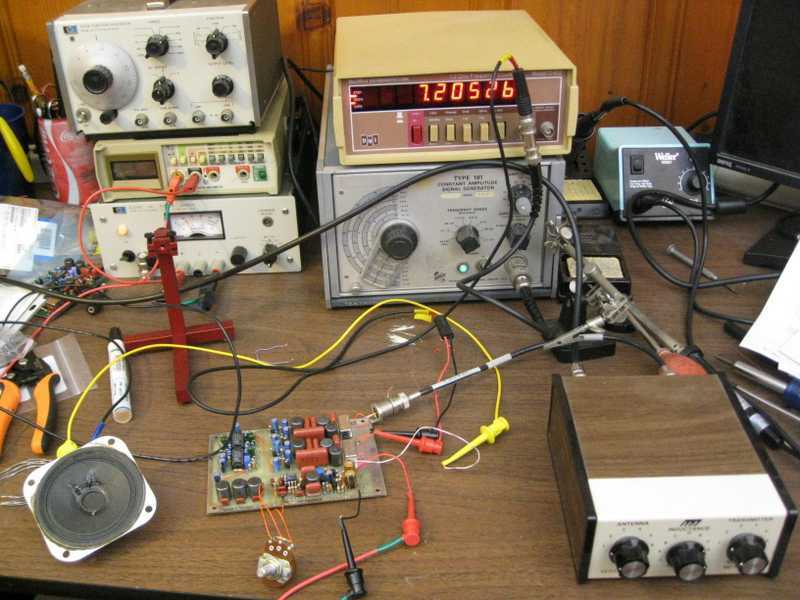 After that, I’ll need to build a power amplifier to boost the T2’s milliwatts up to a reasonable level — at least a watt, maybe as much as 50 W. Finally, I will have to integrate all the pieces into a working rig. Professionally, I do a lot of microcontroller work, so it’s tempting to build a fancy digital control panel with circuitry to integrate every R2 and T2 option imaginable. Instead, I’m trying to keep myself to something simple: one band, SSB only, and a digital frequency readout as the only frill. I still have to pick the initial band. I’m torn between 20m, my favorite for PSK31, and 40m, which I like for SSB. I’m after whatever DX I can land in either mode. What band would you recommend? One problem every ham faces is how to get his signal from inside, where the radios are, to outside, where the antennas are. 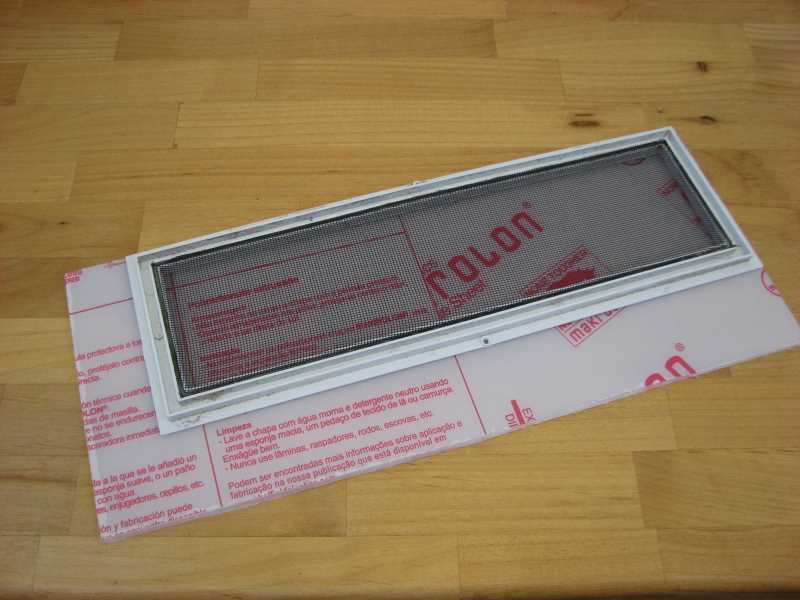 A while back, I prototyped replacing a screen in my basement windows with a feedthrough panel. The prototype used hobby polystyrene sheets, which were easy to work with but far too flexible for the job. 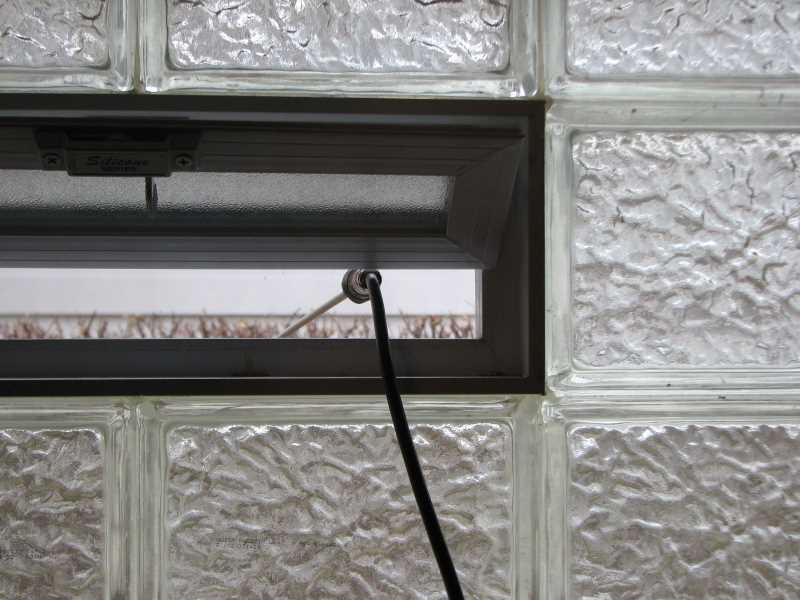 As the weather cooled, I removed it and closed the window, for fear some mice or other critters would find it a convenient way into our nice, warm house. Without a feedthrough, I had no way to use my antenna, so it was time to build a permanent version. 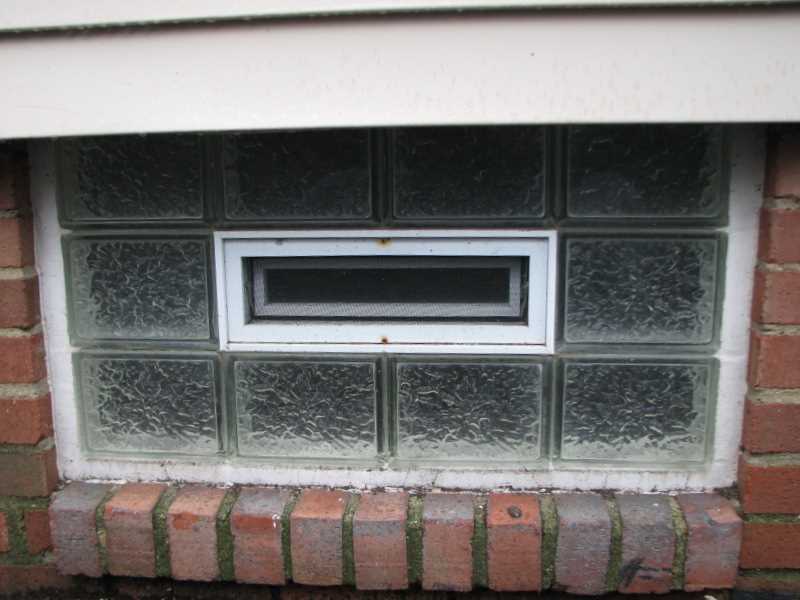 The window I chose is a typical basement window made of glass block, with a small section that opens. 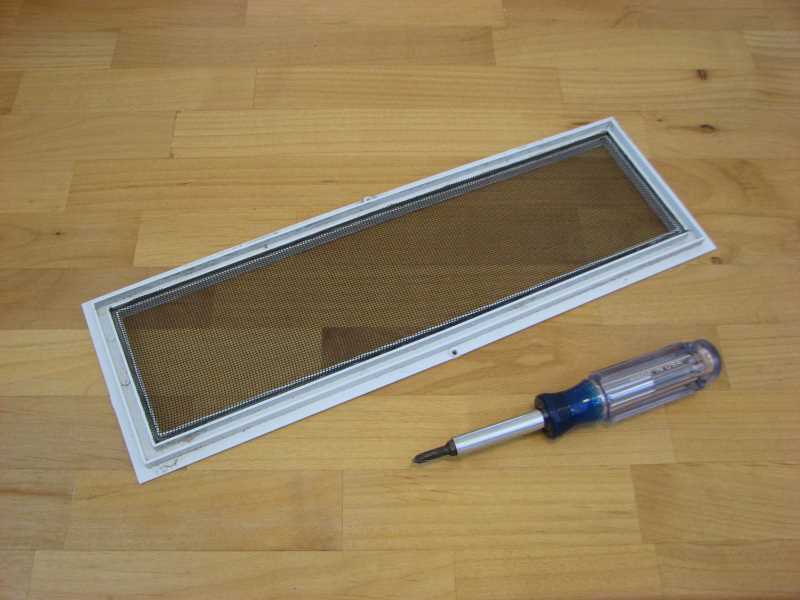 It didn’t take much work to remove the two screws that held the screen window. My plan was to cut a piece of acrylic (plexiglass) to replace the screen, but a friend one-upped that by giving me a piece of polycarbonate. This stuff is tough. A thicker version is used in bullet-proof windows! It will work fine for the job. I put the screen on the polycarbonate for size. I marked the size I needed, along with the position of the screw holes, then used a scribing tool and a straightedge to scribe a deep line in the polycarbonate. The idea was to cut it like one cuts acrylic: by scribing it, then snapping it. The polycarbonate was very hard to snap. I found out later that scribing and snapping is not the way to cut polycarbonate. In fact, it can shatter from this treatment. I should have cut it with a saw — I’m told table saws work particularly well. The next step was to make a hole for a BNC bulkhead feedthrough. 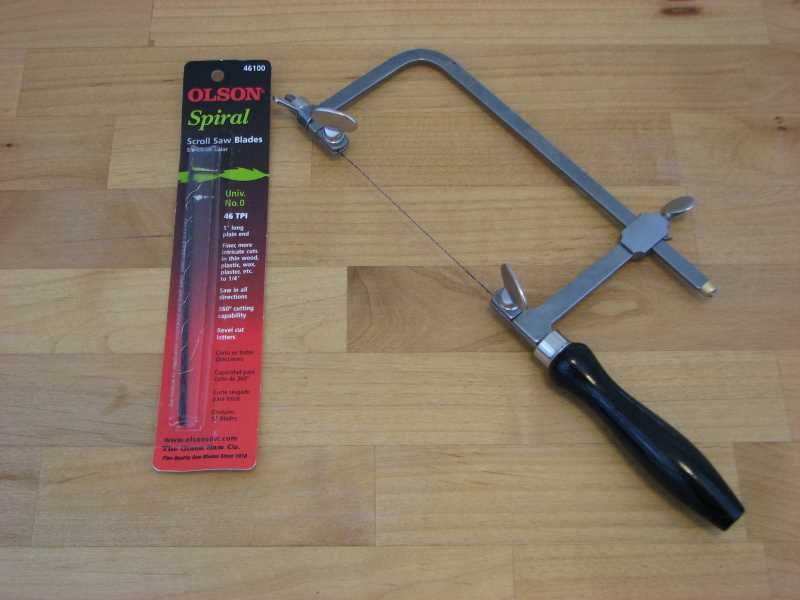 The tool for this job was a jeweler’s saw with a spiral saw blade. These nifty blades are round and can cut in any direction without turning. As a template, I used an electrical-box faceplate that had two holes for BNC feedthroughs like this. It came from the trash when an old coax-based (“thinwire”) Ethernet installation was upgraded to twisted pair. I drilled the hole with my little Dremel drill press. 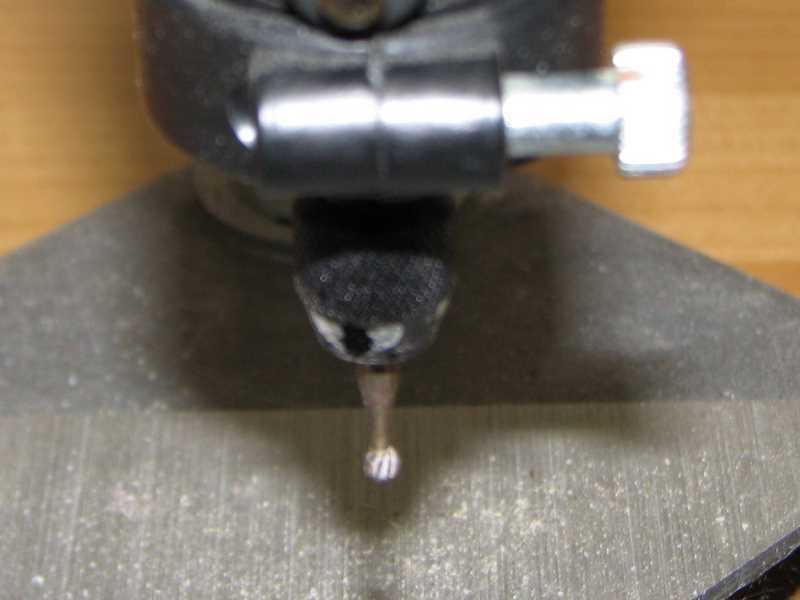 Some Googling of polycarbonate turned up recommendations against using a hand drill with it, because it can break bits if they aren’t held straight. 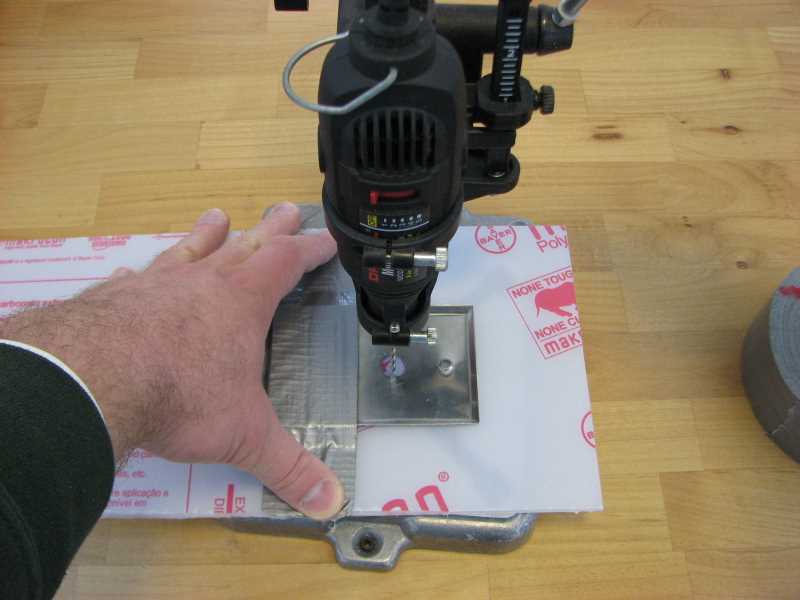 I wish I had a real drill press, but this attachment for my Dremel tool seemed a good choice when I wanted to drill holes in homemade PCBs. It worked great for this job, too. A 1/8″ hole, the largest I had a collet for, was more than large enough to slip the saw blade through. I also used the drill press to make two holes for the screws that will hold the panel in place. As I sawed, I took care not to run the blade right against the template. 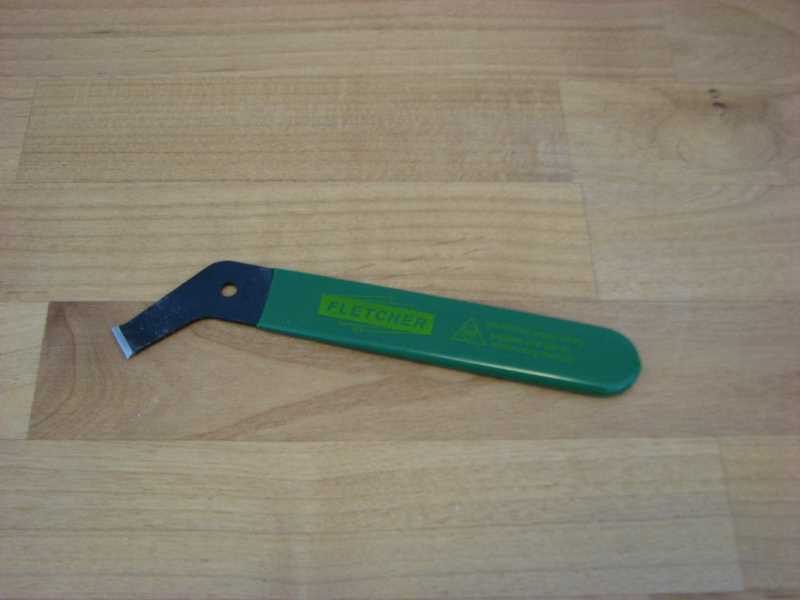 It is stainless steel and would have dulled the blade much faster than the polycarbonate. In any event, I also had trouble turning one corner and needed to clean that up as well. I set up the Dremel with my favorite burr bit, which looks like it needs to be replaced soon. It went through the polycarbonate like butter, quickly bringing the edges of the hole out to match the template. I removed the template and tried the BNC bulkhead feedthrough for size. It fit perfectly! My past includes many a panel with misshapen holes that barely fit their intended connector, so this was surprising but welcome. I guess that’s what I get for never using a template before. The feedthrough I used was the former resident of the faceplate-turned-template. 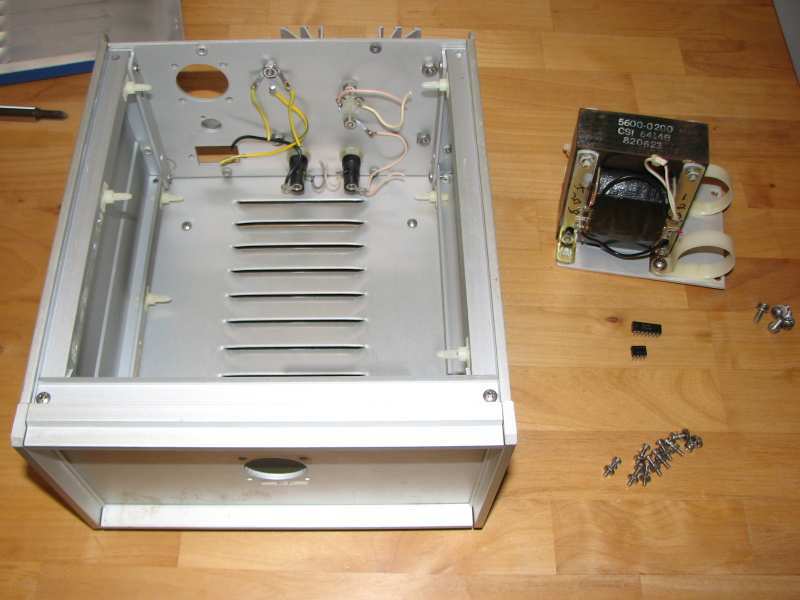 Now, one thing to mention here… I took care to put the nut on the inside of the panel. I used Coax-Seal on the outside connection, to prevent water ingress, and that stuff is messy and a bother to remove and replace. 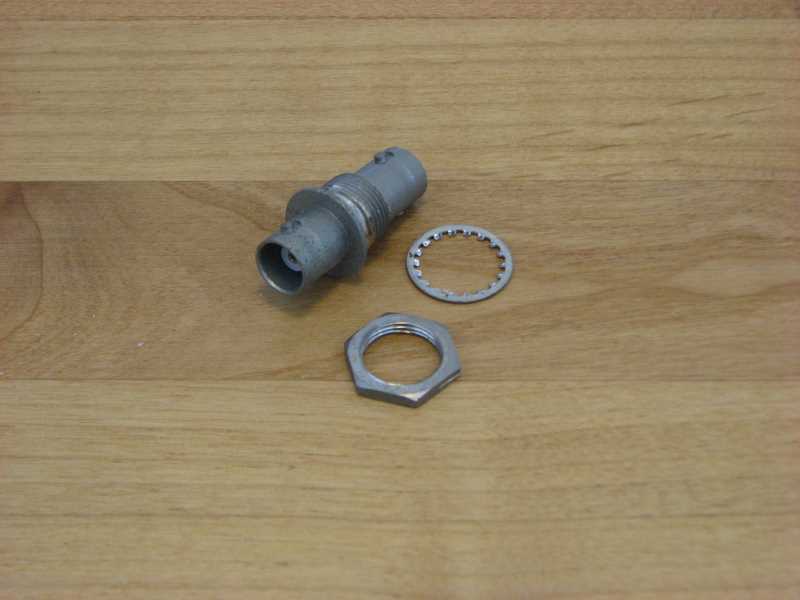 By putting the nut on the inside, I can remove and replace the feedthrough window without disturbing the Coax-Seal. That might be handy when I cut a hole for another connection. Finally, I put it all together. I pulled the protective covering off of the polycarbonate, installed the feedthrough for real, and screwed it in place of the screen window. It was a little dusty, so I cleaned it before I installed it. Now it is so clear that the coax looks like it floats in space. The clearance between the internal, movable window and the feedthrough window is enough that I can close the window after disconnecting the internal coax. (I figured that out with the polystyrene prototype.) That’s good for energy efficiency. The panel fits tightly enough that I don’t feel a draft, and I could always add weather stripping, but it’s still only a single-paned window. The moveable window behind it is double-paned. The picture above shows the Coax-Seal, too. My technique for that, which I learned from the hams at the Case Amateur Radio Club, is to first wrap the connection with electrical tape, with the outer end folded over a bit to make a pull tab. 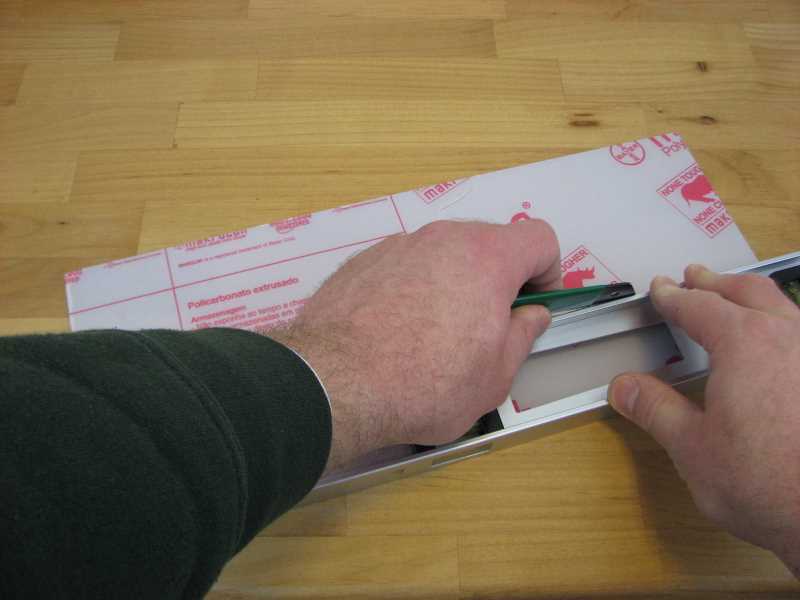 Cover the tape with Coax-Seal, with the Coax-Seal extending a bit past the tape on each end for water-tightness. 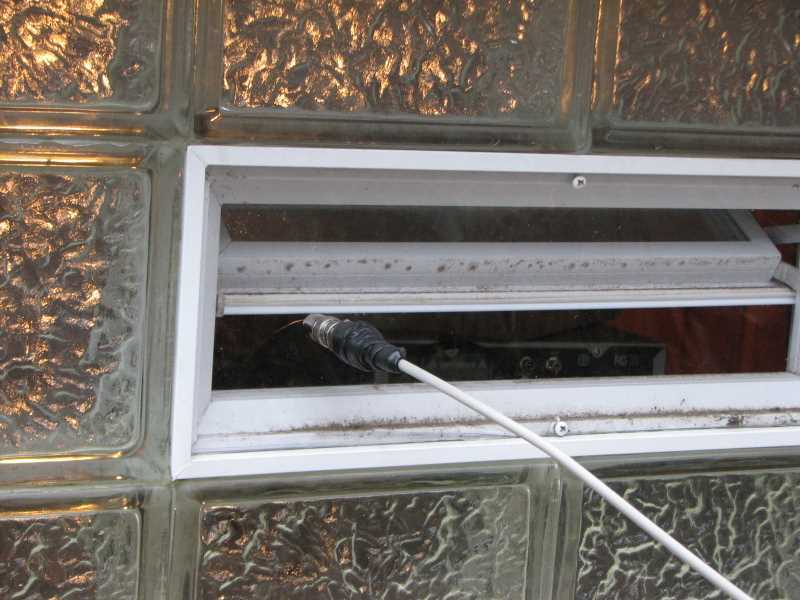 When you want to remove the connection, you can cut almost all the way through the Coax-Seal with a sharp knife, split the rest open like peeling an orange, and remove it down to the electrical tape. Next, unwrap the tape started at the pull-tab. The tape will take the perpetually sticky Coax-Seal residue with it, leaving a clean pair of connectors ready for reuse. Jay Eiger was a font of wisdom for this project and also gave me the polycarbonate. Thanks, Jay!